Specially designed for the Canon EOS 5D Mark II, the Canon BG-E6 Battery Grip accommmodates either one or two LP-E6 battery packs. The BG-E6 provides full vertical shooting controls, which can be independently turned on or off as desired. 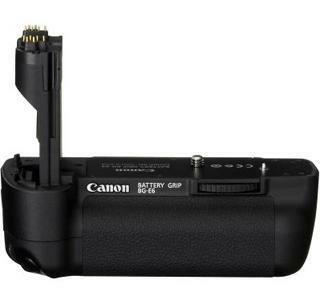 The battery grip is designed to enhance camera handling, especially for shooting vertical pictures.